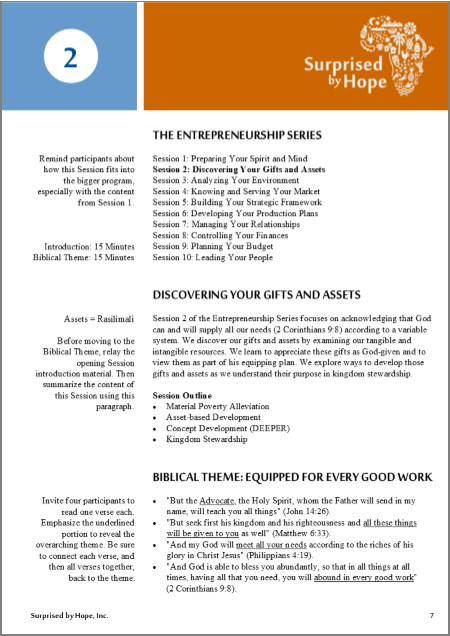 Session 2 of the Entrepreneurship Series focuses on acknowledging that God can and will supply all our needs (2 Corinthians 9:8) according to a variable system. 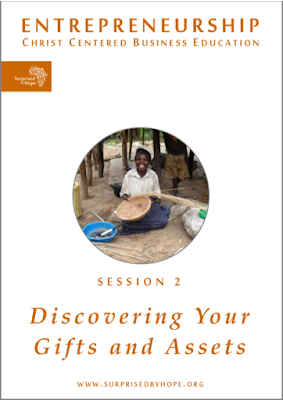 We discover our gifts and assets by examining our tangible and intangible resources. 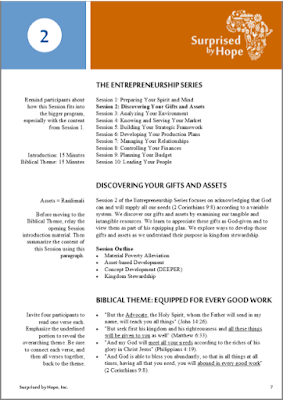 We learn to appreciate these gifts as God-given and to view them as part of his equipping plan. 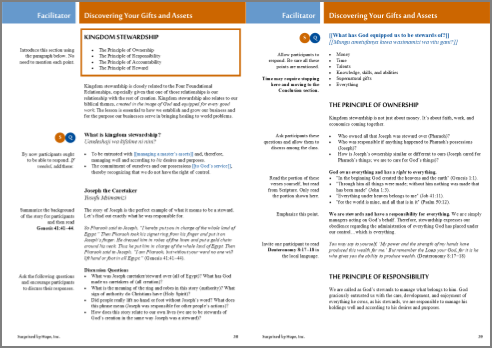 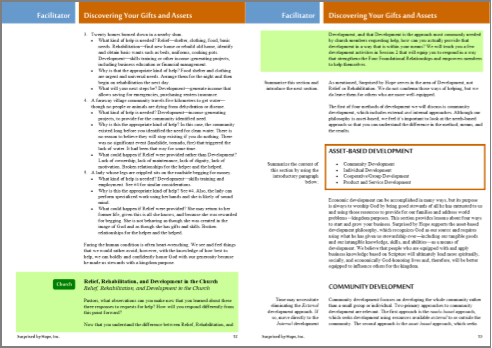 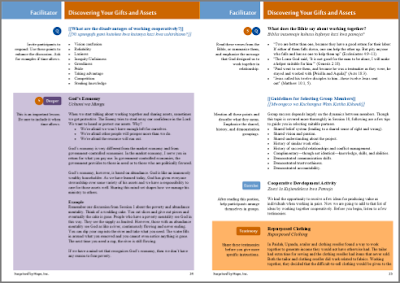 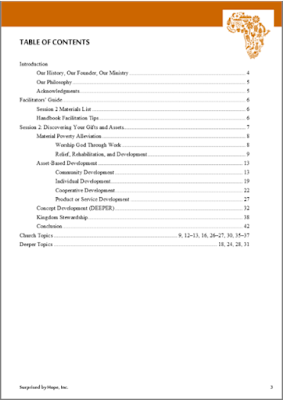 We explore ways to develop those gifts and assets as we understand their purpose in kingdom stewardship.